The Best Residential Air Duct Cleaning Team In Oceanside, CA! Time To Clean Your Ducts? Why Do They Need Cleaning? The air ducts of your home may seem self-sufficient and without much need of being tended to, but this couldn’t be further from the truth! While they are drawing in air throughout the year to be used for air conditioning and heating, they’re also bringing in all kinds of dirt and other materials. Over time dirt and dust will accumulate, and may even begin to grow mold or bacteria! This contaminates the air as it passes through to enter your home, and you and your family will breathe it. Even the healthiest of people are affected by bad air quality and find themselves fatigued. Allergy sufferers will certainly be plagued with irritating symptoms like watery eyes and itchy noses. It’s much more hazardous, however, for those with breathing disorders. These pollutants will negatively affect people with asthma and other such troubles. Young children and the elderly may also have issues because of them. Aside from health problems, your energy bill will also be making you suffer! There can be pounds of substances clogging up your ducts, and this makes it difficult for the air to make it through. Much more energy is needed to manage it, which may by why your costs are out of control. Our expert team is ready to get to work on getting your ducts like new again, and the making air in your home far fresher! We’ll dislodge the dust and other such things that have accumulated, and immediately vacuum them up to be disposed of. This way, you won’t need to worry about any cross-contamination happening in the process, and can rest assured that the quality of your air will improve, rather than worsen. Take care of your family’s health, as well as potentially lowering those nasty energy bills, with one call! 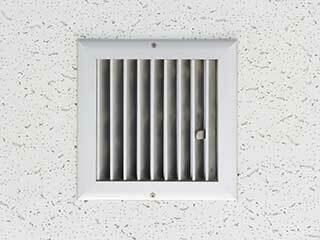 Contact Air Duct Cleaning Oceanside now, and find out how we can help you.